By popular demand, a complete Venom reading order, from his origins to Maximum Carnage, to Venom’s space-faring role with the Guardians of the Galaxy, to the Venomverse event and beyond! Get to know Spider-Man’s most venomous villain! A few notes about this section. There is some overlap in the available trade collections for the issues of Spider-Man in which Venom first appears. For example, “The Birth of Venom” includes the first Amazing Spider-Man issues in which Spidey and Venom battle, but it also includes backstory for the black suit all the way to its origins in Secret Wars. Of course if you’re reading on Marvel Unlimited, this won’t be an issue. Additionally, “Venom: Dark Origin ” is the only series on here published during the 2000’s. Although it was published much later, the story deals with the origins of Venom, and can be read closer to his original appearances in Spider-Man. Note that the two mega “Venomnibus” editions will take you through all of the limited series listed below (and then some). These are the most complete collections for the full 90’s Venom experience. 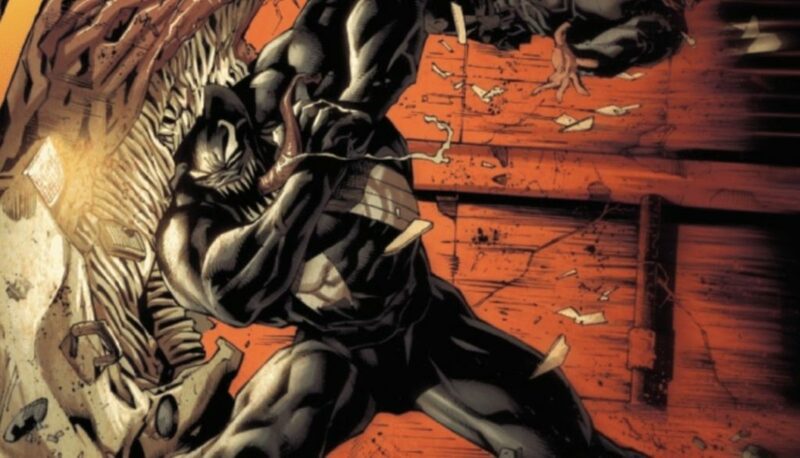 Venom reading order will not quite double as a complete Carnage reading order, but because Venom and Carnage are so closely related, you will find plenty of Carnage included here, notably Maximum Carnage. Check out this page, for a proper Maximum Carnage reading order. Note that this mega collection of 90’s Venom minis includes the “Super Specials” that coincided with the Spider-Man Clone Saga! Not necessarily the beast Venom stories on our list, but the Marvel Knights Spider-Man from Mark Millar in particular has a big influence on the status quo of Venom. The individual inside the symbiote will feel a bit confusing if you skip over this section! I’ll be clear that Civil War is in no way a Venom story, but it does include the sinister symbiote and sets up his status during the following section. You’ll want a passing familiarity with the core Civil War story. Some of the most interesting Venom stories stem from his unexpected time as one of the “heroic” Thunderbolts. Following the events of Secret Invasion, this leads to an even more intriguing period of Venom as a part of the Dark Avengers. 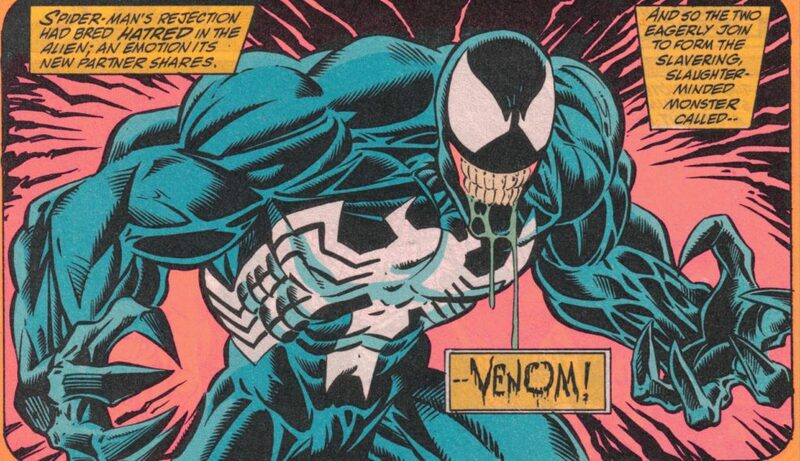 One of the greatest, and perhaps most unexpected turns in Venom’s existence. This is my personal favorite section of Venom comics, and I won’t spoil anything here by saying exactly what happens! Within my modern Amazing Spider-Man guide, you’ll find a complete Spider-Island reading order. I include a Minimum Carnage reading order within my Marvel NOW guide. Venom: Toxin With a Vengeance! Issues #24 and #25 of Guardians of the Galaxy are part of the Black Vortex crossover event with the X-Men. You can find their placement in the timeline with Comic Book Herald’s Black Vortex reading order. Note that following 2017’s Venom #6, Venom returned to its legacy series numbering with issue #150. So although the series appears to skip 144 issues, don’t worry, that’s just renumbering. You can see the entire Venomverse event in Comic Book Herald’s Venomverse reading order. Flashback issue written by Saladin Ahmed, looking back at the time immediately after Peter Parker found the symbiote on Battleworld. You could conceivably read this in line with the 80’s symbiote discovery, but obviously it’s written (quite well) with the benefit of hindsight. What about Venom: planet of the symbiotes? You’re missing GotG Vol. 4 when they go to The Planet of the Symbiotes you have Vol. 5 listed twice. Reading through the Rick Remender Run (I came late to the party) I want to read the Cullen Bunn run that leads to Minimum Carnage but all of his tpbs are out of print. Any idea if they’re going to do a collected edition for his run like they did with Remender’s? Also just stumbled across this last night, VERY EXCITED!! The Cullen Bunn collection releases this September and will include Venom 23-42, and all of the Minimum Carnage arc. I’m pretty positive with what I have for Flash Thompson but there are probably a bunch I’m missing. He’s also not in all those Guardians of the Galaxy issues, he leaves in the middle of one of the volumes to do Space Knight. I don’t know which volume though cause I haven’t read them yet but I’m pretty sure it’s volume 3.
ps please excuse the /2 or /3 thats just second story in issue etc, also FB just means that it’s a flashback issue. I too have been making a list (kinda important to me too lol). Basically what I have so far is every venom appearance in story line order (flashback sput before type stuff). So far i’m up through Venom Vol2 then not quite sure after that. It’s kinda long but here’s what I have in storyline order. Prepare yourself, it’s a long list… any additional help is apprecciated, as I’m still working on the list. This is my reading order. I’d like to know if it’s complete because it’s important to me. Please pay no attention to the asterisks. Also web of spider-man 1, 18 and 24 after ff 274 but before ASM 298-300 correct? Why comics Venom no longer in the go ? Or I confuse something? Where new comics? Hi there, just a quick bit if you have the time, I was running through your list and it’s extremely helpful to me and my collection! I was noticing a few bits that you could add in if you ever cared to. I hope this is helpful and not irritating, either way thanks for your time and all your awesome work here! This is excellent, thank you for sharing! I just need to find the time to update, but I love this. While I do see Lethal Protector is present is there a reason why a lot of the Venom mini-series occuring throughout the 90’s isn’t included? Stuff like The Enemy Within, The Mace, Along Came A Spider, etc. seems to be missing. Are these just considered non-canon or are they in one of the collected editions listed here and I’m just missing it? Entirely just a lack of availability on Marvel Unlimited. Used that as my start point. I’m trying to get into this series using this guide. I have Birth of Venom. From your trade break down it seems that that trade has the same issues that are in Spiderman vs Venom. Is that correct so I would be able to skip that trade? Thanks.